I have no idea why companies with no previous experience in Wi-Fi routers still want to enter the market. Product cycles are getting shorter with new shiny routers hitting store shelves to entice people to spend their hard-earned cash every six months or so. And the going is particularly tough if part of your product is based on a recurring subscription. Despite increasing threats from malware, drive-by downloads, poisoned websites, phishing emails, ransomware and all the other crap coming at us from the internet, tech buyers balk at add-on router services. The same people who easily cough up 10 bucks or so a month for Hulu, Netflix or other OTT services suddenly get alligator arms when it comes time to pony up for a subscription security service. Which brings us to Norton by Symantec's Core Router. It's a four-stream AC2600 class router that has Norton's parental control and security technology baked into an easy to use package. 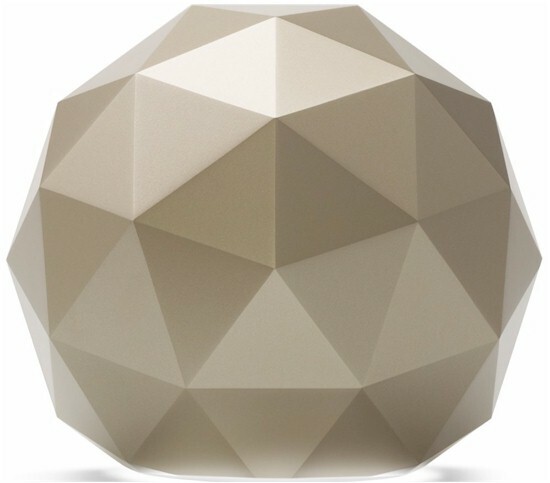 In an attempt to stand out on store shelves and perhaps wow naive buyers, Norton/Symantec chose to go with a geodesic dome format with internal antennas. This makes for perhaps higher WAF, but limits space for the ports necessary to power and connect the beastie. As a result, you get only a three-port LAN switch vs. the usual four. But at least all ports, including the single WAN, are gigabit. The power switch could have been left off, given its inconvenient location, and so could one of the two USB 3.0 ports, since only printer sharing is supported. There are neither wireless on/off, nor WPS switches, either hardware or software. Symantec/Norton has not released the FCC internal pictures, so I opened the router after testing was done for a look. After finding 3 hidden screws and with some patient prying, the top came off to reveal the photo below. The plastic antenna tower holds four dual-band bent-metal antennas. The heatsink below it has a small fan at its center and is coupled via thermal pads to the RF can tops covering the processor/ RAM and 5 GHz radio sections. The connector board must be removed from the main assembly to get the guts out of the geodesic dome shell. Stripping off all the RF can tops shows the CPU / switch and RAM section at top and 5 GHz radios at bottom. It's pretty clear Core is yet another Qualcomm-based design. Both radios are on plug-in modules connected via mini PCI-e. The 2.4 GHz radio connects to the 5 GHz radio board, which contains switching circuitry to feed both radios to the single set of dual-band antennas. The Bluetooth 4.1 radio and its bent metal antenna are tucked into the lower left corner. The other board side holds the 2.4 GHz radio module and eMMC flash to its left. Key components are summaried below along side NETGEAR's R7800 Nighthawk X4S AC2600 router. The designs are very similar, component-wise except for RAM and flash capacities and the Core's Bluetooth radio.